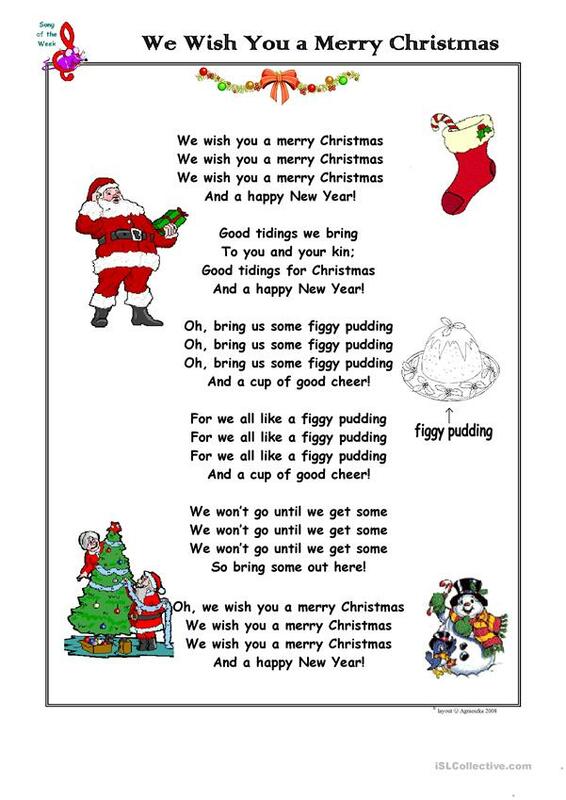 One of the most popular Christmas songs. Kids love it. This copyright license allows others to use my work for personal or classroom use only. Uploading the work on any internet sharing platforms, personal websites, blogs, PINTEREST or any commercial use is not permitted for others. This downloadable printable is a great resource for high school students, elementary school students, kindergartners and nursery school students and adults at Beginner (pre-A1), Elementary (A1), Pre-intermediate (A2) and Intermediate (B1) level. It is useful for honing your groups' Listening skills. It focuses on the theme of Christmas. agamat is from/lives in Canada and has been a member of iSLCollective since 2012-05-03 02:32:48. agamat last logged in on 2019-04-08 16:08:35, and has shared 11 resources on iSLCollective so far.